Here's a look at Dezkin. He's an octipus head with a human body. 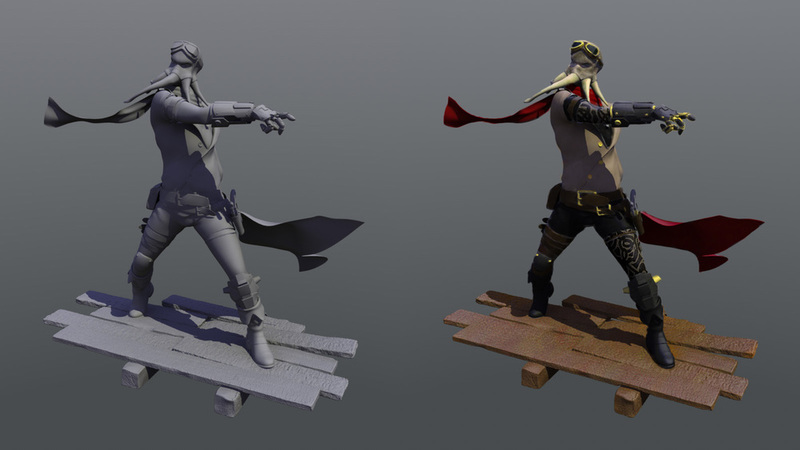 The model was provided by CGTalk. I started by giving him something to stand on. Floating characters always look like they are missing something. After modeling up the planks, I created a camera turntable so I can show work in progress videos. My greyscale and wireframe turntables are rendering, and I'll post them soon. Until then, Here's a greyscale and paint over concept color of the character.